It is difficult to read the news these days without learning of a new case of nursing neglect or abuse and many people have become apprehensive about placing a loved one under professional care due to the fear he or she will be mistreated. The Grand Rapids bedsore injury attorneys of Nursing Home Law Center LLC work tirelessly on behalf of victims to ensure that they receive the voice and justice they deserve so that the nursing industry knows that there will be consequences for placing profit above people. 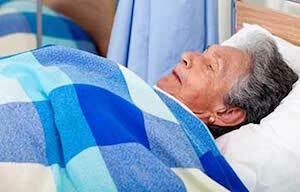 If your loved one has developed a pressure ulcer, we would like to hear your story. Grand Rapids has experienced very steady growth, becoming the second largest city in Michigan with a population of over 195,000 people. Over 11% of its populace is comprised of residents over the age of 65 and the upcoming retirement of thousands of Baby Boomers is likely to place a strain on current programs in place to provide assistance to aging residents who require it. One of the best ways these residents can increase the quality and longevity of their lives is to remain physically and socially active. Senior Neighbors provides numerous activities, events and support groups through its senior centers to aging residents who are looking for ways to maintain their independence and stay healthy. These services include blood pressure checks, stress management discussions, nutrition programs, educational classes, music, fitness programs and social events. To learn more, you can visit http://seniorneighbors.org/centers/grand-rapids/. There are 31 nursing homes throughout Grand Rapids, but only six of them have been held in the highest esteem by Medicare. This can make it difficult to trust yourself when evaluating homes in search of a facility that is fit to tend to your loved one’s unique needs. Our Grand Rapids pressure sore lawyers suggest using the nursing home compare tool found on Medicare’s website at https://www.medicare.gov/nursinghomecompare to eliminate facilities that have records of delivering subpar treatment to their residents. This tool will allow you to compare homes side to side so that you can see which have received fines or penalties for negligent care and which facilities employ short staffs so that you can decrease the chance your loved one’s needs will be ignored due to understaffing or poor administrative policies. You can also narrow your search by facility type and payment forms to ensure that you can find a home that meets your loved one’s physical and financial needs. We have witnessed a steady increase in the number of nursing neglect cases over the last two decades and much of this is linked to severe budget cuts and the introduction of numerous large for profit companies into the nursing industry. In order to most effectively reduce costs as a means to bolster profits, these companies often refuse to invest in the acquisition or training of quality skilled staff members. The nursing patients they serve pay the price for this strategy when overworked staff members are unable to provide the most basic care to all of their patients. Such basic care is all that is needed to prevent bedsores, as the regular repositioning of patients and monitoring for signs of developing sores can suffice for most patients at risk of developing pressure ulcers. If caregivers are so overworked that they cannot implement these simple measures, it is a sign of a much larger and systemic problem that needs to be remedied on behalf of other potential victims. If your loved one has developed an advanced pressure sore due to neglectful care, Nursing Home Law Center LLC can help you. We are leading prosecutors of cases against nursing centers that have failed to meet their duty of care and allowed their residents to endure unwarranted injuries. Contact us today to arrange a free case review with one of our award winning Grand Rapids bedsore injury attorneys so that we can review your legal options and let you know more about the ways we can help.